GoPro wasn't a hero to investors. The stock fell after its first earnings report as a public company. GoPro's extreme cameras normally leave viewers on the edge of their seats, but the gadget maker's first earnings report didn't give the adrenaline rush they craved. Shares of GoPro (GPRO) tumbled more than 6% in after-hours action as they failed to allay fears the stock's hot start has left the newly-public company overvalued. GoPro logged a healthy 38% leap in revenue to $244.6 million as consumers continue to gobble up the company's cameras, including the Hero3+ device. However, GoPro's quarterly loss nearly quadrupled to $19.8 million. On an adjusted-basis, the company said it earned 8 cents per share. That exceeds estimates from Wall Street analysts by a penny. 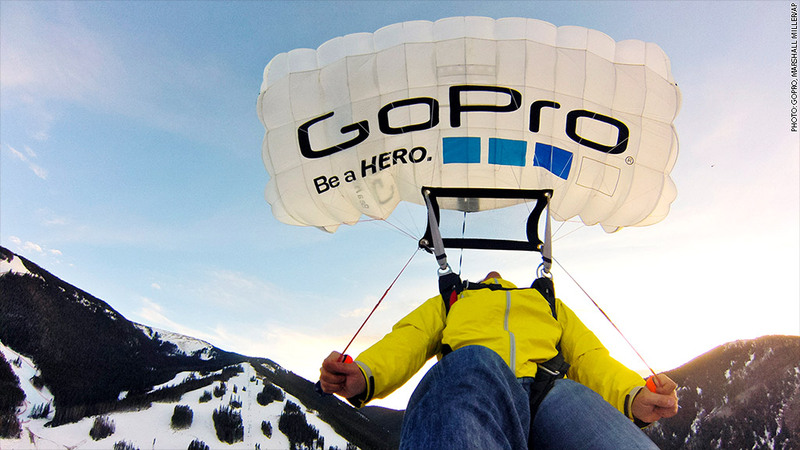 GoPro highlighted efforts to boost sales by promoting extreme videos of skydiving, shark diving and snowboarding. The company said its YouTube views have soared 200% year-over-year. But it's clear that GoPro failed to live up to the hype generated from its blockbuster start on Wall Street. After pricing its IPO at $24, GoPro spiked to nearly $50 in early July before taking a breather. The march higher has left GoPro with a lofty valuation, especially considering it's not currently profitable.